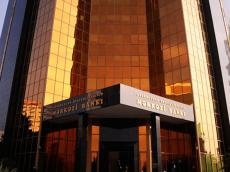 The Central Bank of Azerbaijan (CBA) has no plans to increase investments in gold this year, the CBA told Trend Sept. 5. "In accordance with the investment program for the current year, allocation of the CBA reserves for investment in gold is not envisaged. For now, there is no plan to revise this program either." Meanwhile, the dynamics in the stock markets observed recently, as well as the desire of a number of countries in the region to reduce transactions in US dollar spurred interest in gold. In Azerbaijan, SOFAZ (State Oil Fund) is actively investing in gold. Its investment in this precious metal accounts for 5 percent of the total investment portfolio (60.67 billion manats). In August, the value of currency reserves of CBA totaled 5.5 billion manats, which is a 7.8 percent increase compared to the same period last year.